The game of Reversi can be quite addictive. It is a strategy board game for two players, with the goal being to have as many disks in one’s own color as possible. Playing this game on a physical board can be a lot of fun. Thanks to apps such as Reversi Pro, you can play this cool board game on your iPhone against the computer or a friend. Reversi Pro has great graphics and is fast. If you know the rules for this type of game, you can get started with this right away. The How to Play section could help you get started. You can play against a friend or the computer. The AI could be a tad bit stronger. 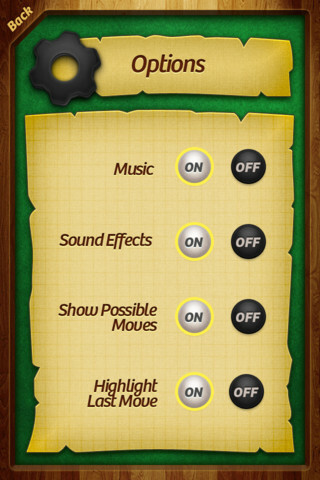 The game offers automatic saving and undo function. 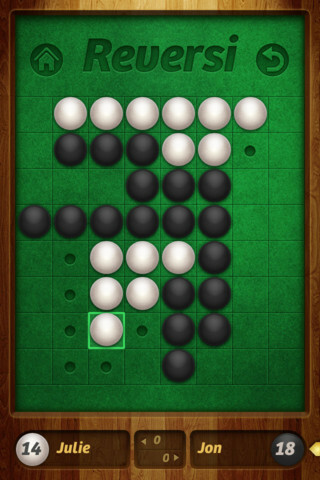 Reversi Pro is one of the better Reversi apps we have tested. The graphics and sound effects are great. The game would be even better with a stronger AI.